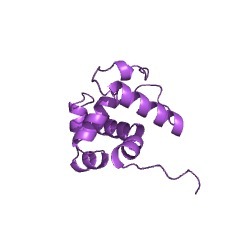 The domain within your query sequence starts at position 98 and ends at position 188; the E-value for the BRIGHT domain shown below is 1.51e-35. 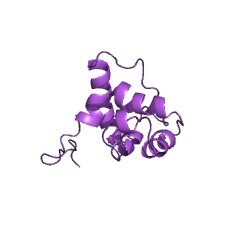 The AT-rich interaction domain (ARID) is an ~100-amino acid DNA-binding module found in a large number of eukaryotic transcription factors that regulate cell proliferation, differentiation and development [(PUBMED:10545119), (PUBMED:11867548)]. 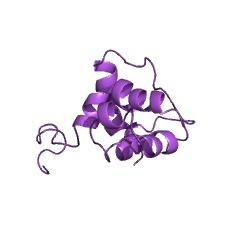 The ARID domain appears as a single-copy motif and can be found in association with other domains, such as JmjC, JmjN, Tudor and PHD-type zinc finger [(PUBMED:11959810)]. 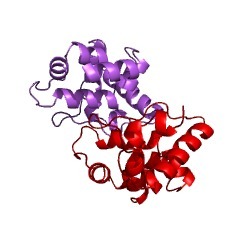 Extended-ARID proteins, which contain the core domain and additional alpha- helices at their N- and C-termini. Minimal ARIDs are distributed in all eukaryotes, while extended ARIDs are restricted to metazoans. The ARID domain binds DNA as a monomer, recognizing the duplex through insertion of a loop and an alpha-helix into the major groove, and by extensive non-specific anchoring contacts to the adjacent sugar-phosphate backbone [(PUBMED:10545119), (PUBMED:11867548), (PUBMED:14722072)]. Eukaryotic transcription factors of the jumonji family. 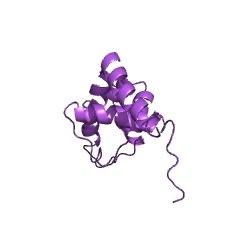 Mammalian Bright, a B-cell-specific trans-activator of IgH transcription. 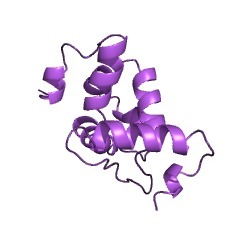 Mammalian PLU-1, a protein that is upregulated in breast cancer cells. Mammalian RBP1 and RBP2, retinoblastoma binding factors. Mammalian Mrf-1 and Mrf-2, transcriptional modulators of the cytomegalovirus major intermediate-early promoter. 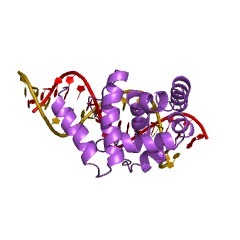 Drosophila melanogaster Dead ringer protein, a transcriptional regulatory protein required for early embryonic development. 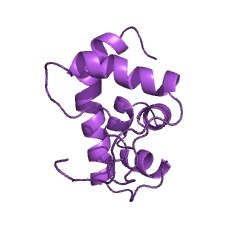 Yeast SWI1 protein, from the SWI/SNF complex involved in chromatin remodeling and broad aspects of transcription regulation. Drosophila melanogaster Osa. 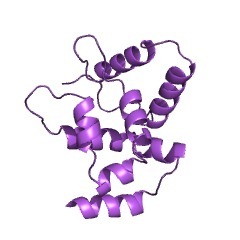 It is structurally related to SWI1 and associates with the brahma complex, which is the Drosophila equivalent of the SWI/SNF complex. There are 8834 BRIGHT domains in 8827 proteins in SMART's nrdb database. Taxonomic distribution of proteins containing BRIGHT domain. This tree includes only several representative species. The complete taxonomic breakdown of all proteins with BRIGHT domain is also avaliable. Click on the protein counts, or double click on taxonomic names to display all proteins containing BRIGHT domain in the selected taxonomic class. A novel DNA-binding motif shares structural homology to DNA replication and repair nucleases and polymerases. 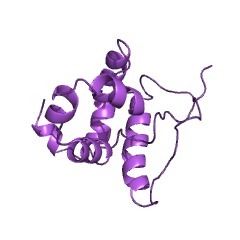 A novel class of DNA-binding domains has been established from at least sixteen recently identified DNA-binding proteins. 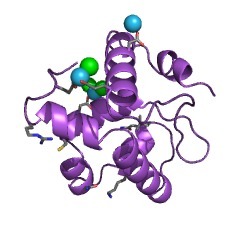 The three-dimensional structure of one of these domains, Mrf-2, has been solved using NMR methods. 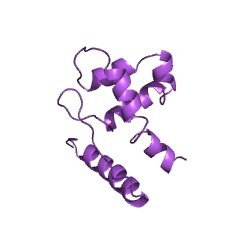 This structure is significantly different from known DNA-binding domain structures. The mechanism of DNA recognition by this motif has been suggested based on conserved residues, surface electrostatic potentials and chemical shift changes. 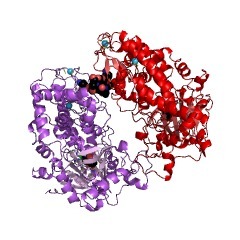 This new DNA-binding motif shares structural homology with T4 RNase H, E. coli endonuclease III and Bacillus subtilis DNA polymerase I. 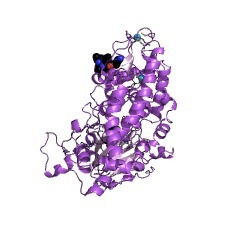 The structural homology suggests a mechanism for substrate recognition by these enzymes. eyelid antagonizes wingless signaling during Drosophila development and has homology to the Bright family of DNA-binding proteins. In Drosophila, pattern formation at multiple stages of embryonic and imaginal development depends on the same intercellular signaling pathways. We have identified a novel gene, eyelid (eld), which is required for embryonic segmentation, development of the notum and wing margin, and photoreceptor differentiation. In these tissues, eld mutations have effects opposite to those caused by wingless (wg) mutations. eld encodes a widely expressed nuclear protein with a region homologous to a novel family of DNA-binding domains. Based on this homology and on the phenotypic analysis, we suggest that Eld could act as a transcription factor antagonistic to the Wg pathway. 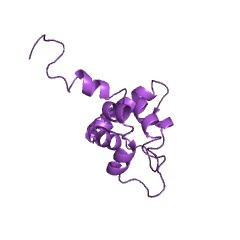 The immunoglobulin heavy-chain matrix-associating regions are bound by Bright: a B cell-specific trans-activator that describes a new DNA-binding protein family. 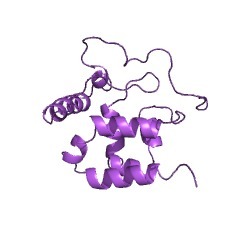 B lymphocyte-restricted transcription of immunoglobulin heavy-chain (IgH) genes is specified by elements within the variable region (VH) promoter and the intronic enhancer (E mu). 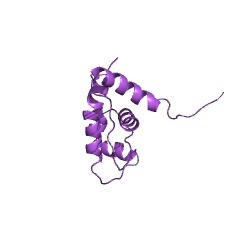 The gene encoding a protein that binds a VH promoter proximal site necessary for induced mu-heavy-chain transcription has been cloned. 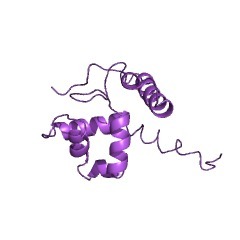 This B-cell specific protein, termed Bright (B cell regulator of IgH transcription), is found in both soluble and matrix insoluble nuclear fractions. Bright binds the minor groove of a restricted ATC sequence that is sufficient for nuclear matrix association. This sequence motif is present in previously described matrix-associating regions (MARs) proximal to the promoter and flanking E mu. Bright can activate E mu-driven transcription by binding these sites, but only when they occur in their natural context and in cell lines permissive for E mu activity. 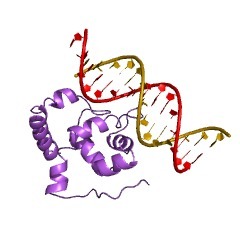 To bind DNA, Bright requires a novel tetramerization domain and a previously undescribed domain that shares identity with several proteins, including SWI1, a component of the SWI/SNF complex.